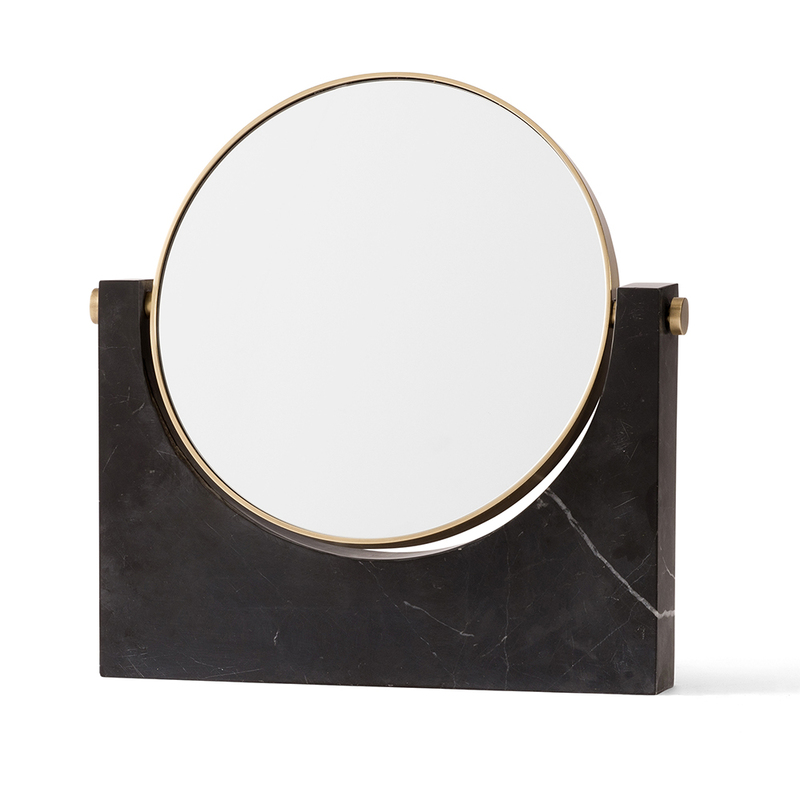 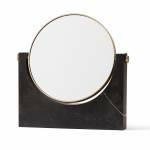 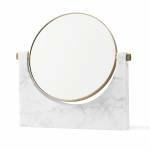 Marble Mirror is a heroic, beautiful object for everyday use. 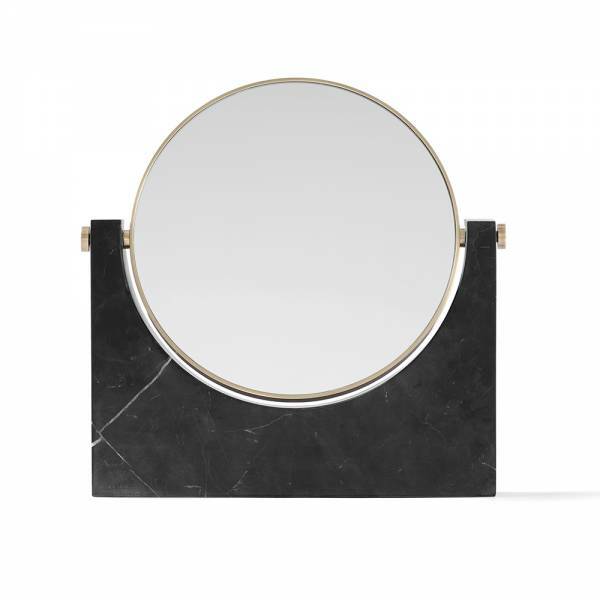 The design is iconic and the mirror is made to last a lifetime. Designers Studiopepe are obsessed with precious materials, like marble, that gain in beauty over the years. 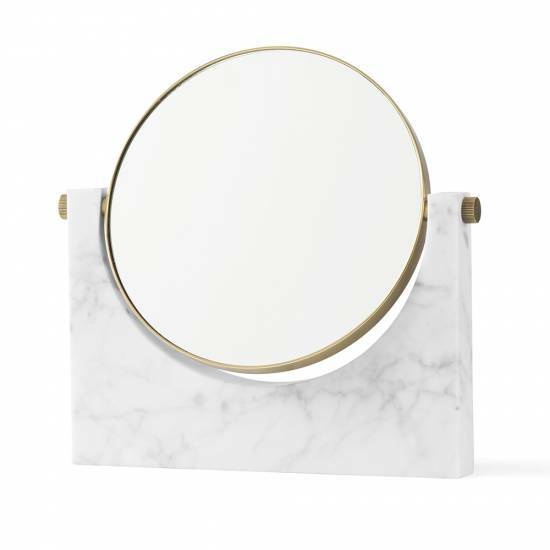 We believe that a beautifully designed product should last almost forever. 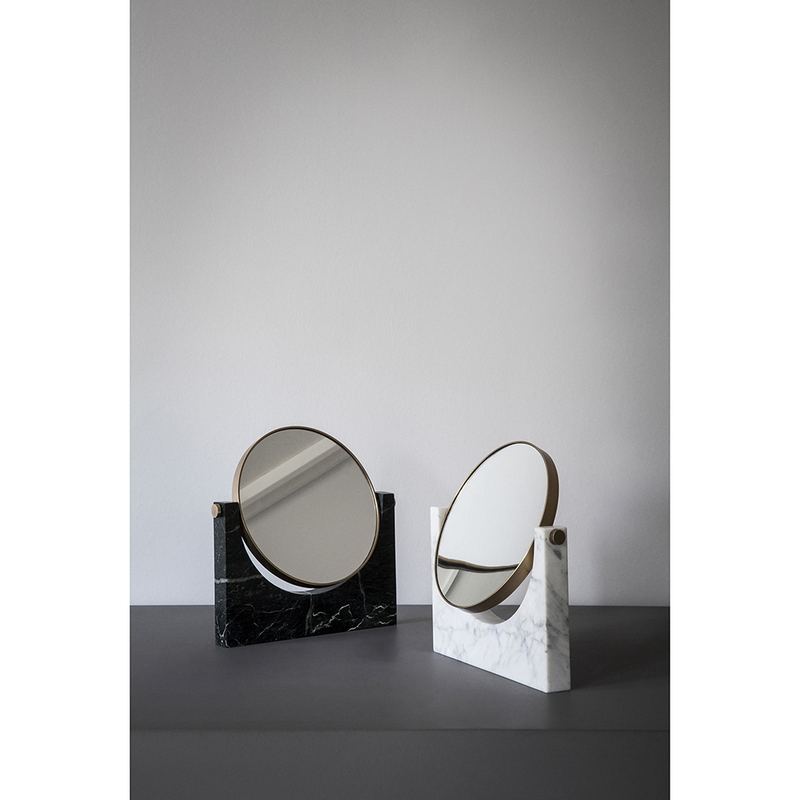 Designed by Studiopepe. 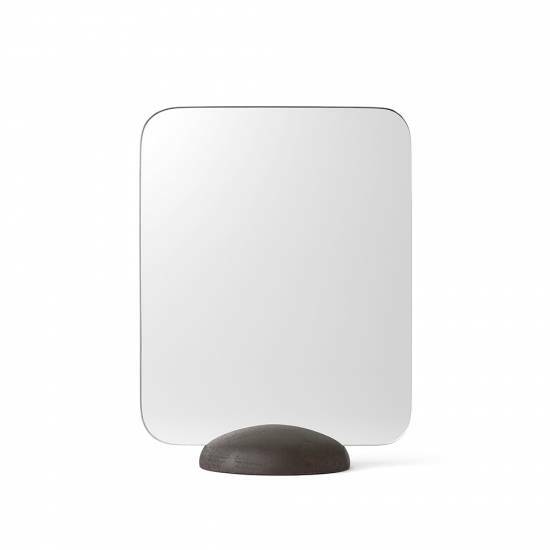 Flat mirror on one side, 3x magnifying mirror on other side.